Criticism from disappointed fans has forced Iranian player Sardar Azmoun to retire from international football aged just 23 and enable him to spend more time with his mother. 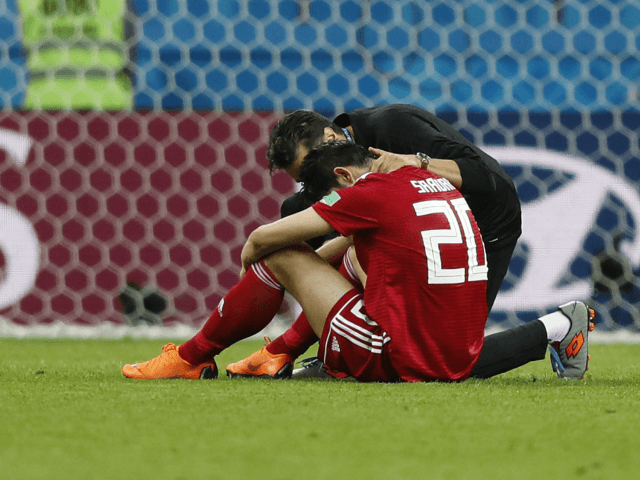 Azmoun drew abuse after he failed to deliver in last week’s Group B World Cup game against Spain, failing to carry the form that made him a rising Iran star with 11 goals in qualification for the finals in Russia. The striker, who made his debut for Iran at the age of 19, said the consequent “insults” had caused his mother’s fragile health to deteriorate and he had decided to retire from the national squad to spare her further upset. He said: “My mother had overcome serious illness and I was happy. Expectations in Iran had been raised by Iran’s opening victory over Morocco, which sparked exuberant celebrations on the streets of Tehran. Iran will now leave the World Cup at the completion of the pool rounds.